The Exodus Steel Orchestra, spoken of in tones of reverence by the harshest of steelband music critics, presents its first compact disc. Eleven tracks are recorded on the High Definition Compatible Digital process. 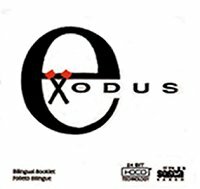 The sonic fidelity of the HDCD process enhances even further Exodus' distinctive steelband sound.